With a 7-1 record this season, the men’s lacrosse team has used the leadership of the seniors and camaraderie of the team to get younger players involved in order to win. The team has won games against several ranked opponents such Seton Hill, Mercyhurst University and Lindenwood University. These wins, along with a few others, have brought the Hounds to a No. 9 ranking. Head Coach Greg Stocks said the success has been due to the team working together. The Hounds started off the season by winning against a team that they have not beat in the last three years, the No. 3 ranked Seton Hill. The Hounds were able to pull off a 10-9 overtime upset. Stocks said that the win was a good way to start the season because it helps the team to get in a good mindset. Senior attacker Parker Kump said beating a higher ranked team has been the highlight of his season. According to Stocks, the team wants to take everything one game at a time and not to look too far into the future. He said the goal for the rest of the season is simple: to win. Although Stocks said his focus is on one game at a time, Kump said he has been looking forward into the season. 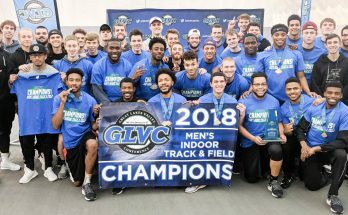 He said the team’s goal is to get a home field advantage for conference, once again, and to keep the momentum that they have built going into the NCAA championships. Kump said he attributes the team’s success so far to communication of expectations and teammates holding each other accountable. According to freshman attacker Drew Billig, his personal success is more of a reflection on the team as whole rather than on himself. He said that the leadership of the seniors is one of the things that helped the team progress and do well. The team has only lost one game this season, including close calls against teams like Lincoln Memorial University. 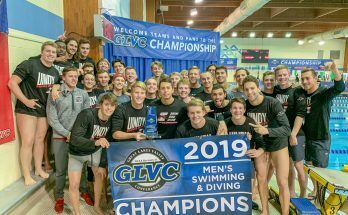 According to Stocks, the team hopes to overcome some inconsistency issues before the GLVC tournament.